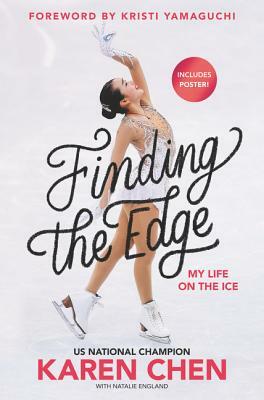 Features a foreword from Kristi Yamaguchi, the Olympic champion, two-time World champion, and U.S. champion. Karen Chen is an American figure skater. She was the 2017 US national champion, placing fourth at the 2017 World Championships. She also holds a bronze medal from the 2015 US National Championships and two bronze medals from the ISU Challenger Series. Karen was born in Fremont, California, and has been skating since 2005. Finding the Edge is her first book. Athlete, artist, wife, mother, philanthropist—in each of these things Kristi Yamaguchi embodies the word “champion.” Following her victories at the 1992 Winter Olympics and World Championships, Kristi embarked on a successful professional career that went non-stop for more than a decade. During the years 1992-2002, Kristi toured with Stars on Ice, won numerous professional competitions, frequently appeared on television specials, and collaborated with several choreographers to create diverse programs. She is also the author of Dream Big, Little Pig! and It’s a Big World, Little Pig!